I would be glad if someone could help me and share experiences on the topic in english. 1) Aftermarket camshafts : In Greece the best option is considered to be Dbilas 252/10 cams. A lot of people have tested them on similar setups with good results. Unfortunately they cost a fortune to get new and I'm trying to find some used ones in good condition. Also, anybody here tested Schrick cams for this engine? 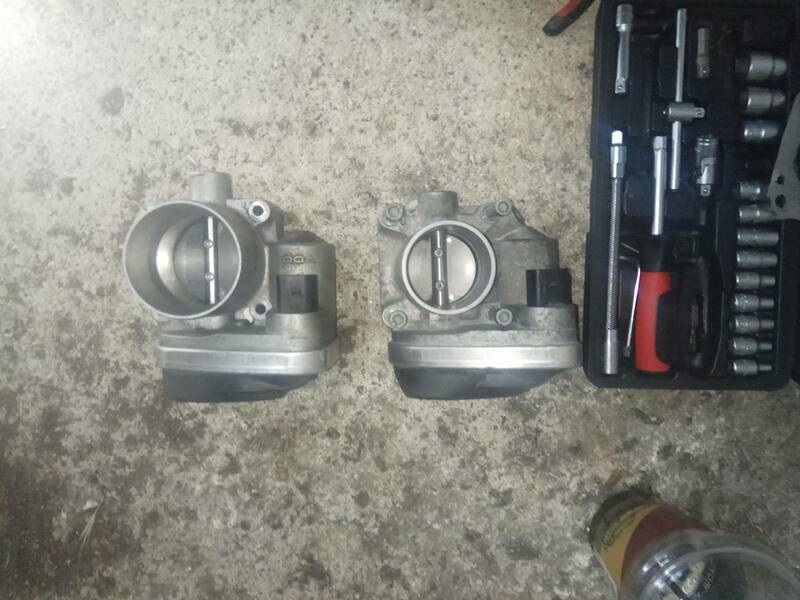 2) Throttle body : I'm going to use the renault vdo throttle body (408238827002). I have seen this mod posted in another forum and if I'm not mistaked the poster X-MAN is participating in this forum as well. 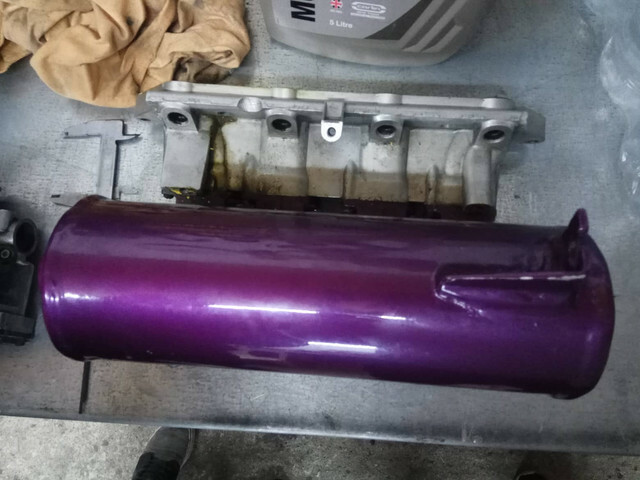 3) Aftermarket intake manifold : I need some help here. Does anybody know any other brands except Dbilas? 4) Aftermarket air intake setup : I'm thinking about BMC CDA or a Simota Peugeot 206 sourced intake. It can be fitted on the Polo with some tweaking and has been tested in Greece with good results. Any other suggestions? Please feel free to tell me your opinions about my choices, even if they make me sad. My target is to reach 150hp or so. Do you thing something else except the above mentioned things is needed to reach this target? I would also be glad if people who have similar projects could share their spec lists and dyno results. P.S Does anybody know the spec list of this polo? You can use the Renault throttlebody as you said, or this VW 2.0 TSI throttle 06F133062G. But it hast no vacuum port if needed. Good intake mainfold is from the polo gti 1.6 16v AJV or from old 1.4 16v polo AFH. The AJV is made in one piece were the AFH can be disassembled. But the AJV is the biggest stock one you can get. Hey X-MAN! Is the 2.0 tsi tb larger than the renault one? So exterior-wise my car is a completely stock silver 9n, 5door, with steel wheels. I don't really care for improving its looks, atleast for the moment. My main focus is placed on the engine things right now and after I will start messing with chassis upgrades. I have some photos of the progress. The AUB head after it was removed from the donor engine. After I got it back from the machine shop. Skimmed 0.1mm, new valve stem seals installed, checked valve guides and seats, pressure tested for leaks etc. 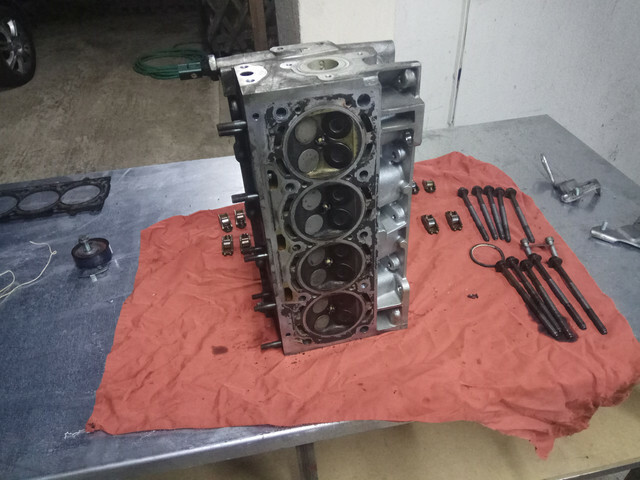 A photo of all the parts before taking the engine to the shop to be assembled. 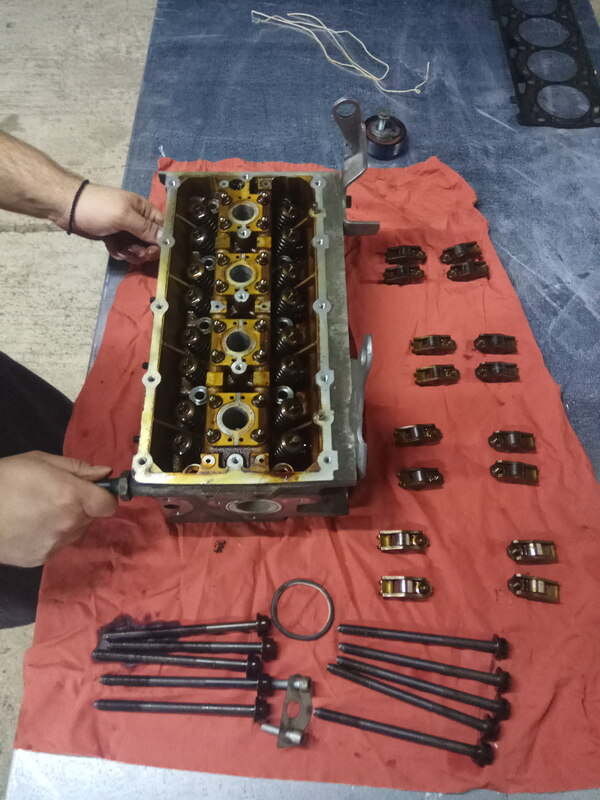 Block also had been honed and new piston rings installed. Here is a photo of the simota intake I mentioned, installed on a Ibiza 6l. Realy good project. I also like do this engineswap, because it ist very easy to change. Now I have the dbilas Stage 3 Kit,but I think i will be switch it into the 1.6 engine. Is the engine running? Did you make a test on the dyno to see the horsepower and the torque? Thanks for your words. Engine is on the car and running since summer, unfortunately still on stock 1.4 bby 75hp map with 5800rpm revlimit. I just bought an aftermarket intake manifold. It's built on the stock runners, using a custom fabricated plenum. I'm still searching for some aftermarket cams and a renault 57mm throttle body. After that it will get remapped and dynoed. I think this will happen with the new year. I'm looking forward to hear from your project, because I didn't know anybody who is interested in this theme. You can show in my foto album the modification. The engine ist running with 130Nm and 128 Horspower. It runs very well and it makes a lot of fun to rev the limiter, because the sound is nearly by an old 4 cylinder DTM cars. What rpm is your revlimiter set? 128hp and 130nm is a nice figure for a 1390cc engine. My project is progressing slowly do to uni life, but I'm getting there.Unfortunately, I cannot find some used 252/10 dbilas cams, even after searching for months. The price for a new set is too high for me. Ok the camshafts price were around 600€. It's a lot of money this compenents should be very clean. Othervise the engine will be killed. The revlimiter is set by 7500rpm, but after 7000rpm is no more torque because the exhaust system is to small. I have to upgrade this in the future. Some updates on my build. 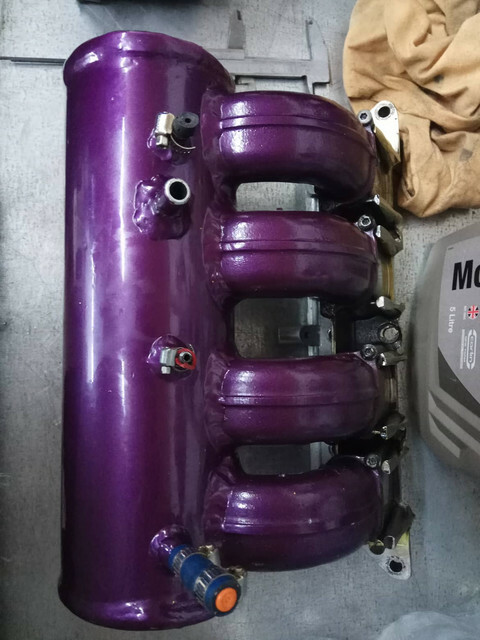 I bought a custom made intake manifold. It uses the stock afh runners and a custom plenum. Here are some photos. I also bought a pair of Schrick 252/9 cams. 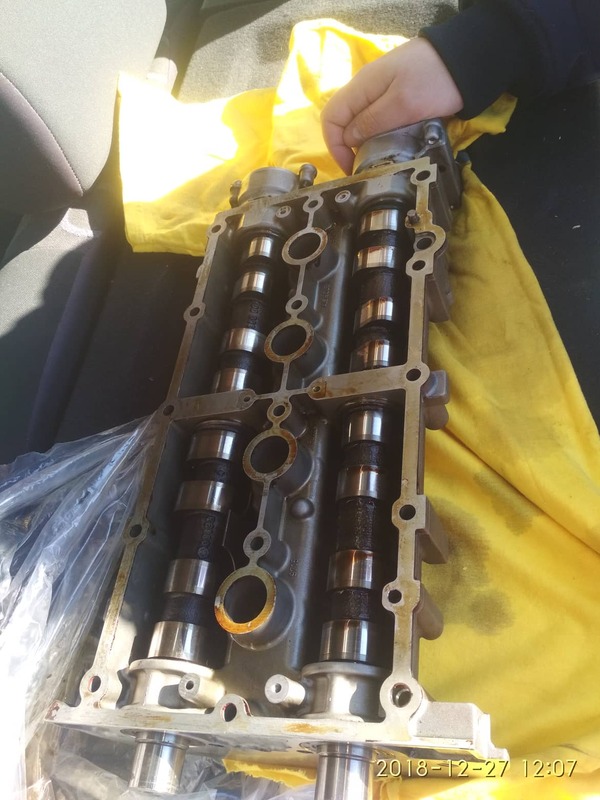 Both manifold and cams costed me 400 euros, so I'm quite happy. Next step now is finding a megane 2 throttle body and cleaning the aub injectors, so that I'm ready to go for a mapping session, hopefully on the dyno. did you complete the engine? 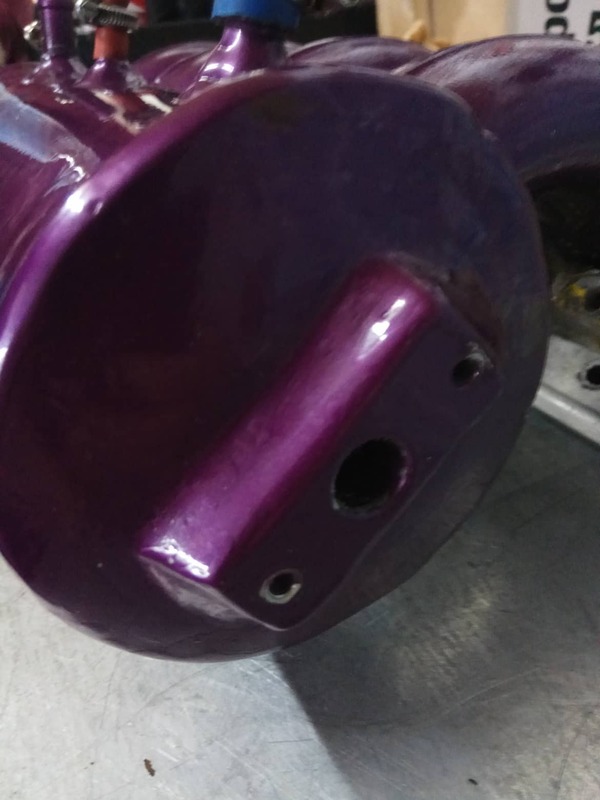 The purple mainfold looks very nice. 1) Close the 2 extra vacuum ports that this intake has. 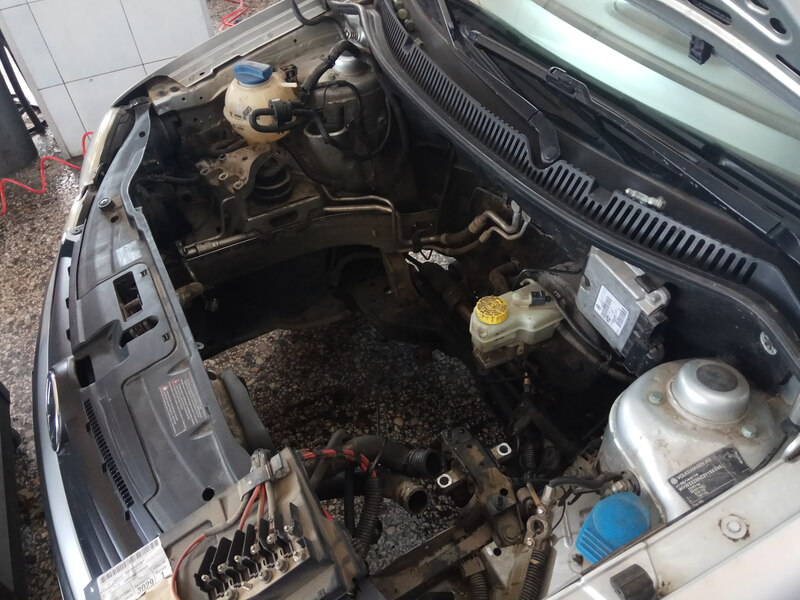 2) Extend the wiring for both throttle body and MAP sensor, as they have to be on the opposite side than the one they are now. 3) Make sure that the 'plate' for the throttle body is flat, so that I dont have any vacuum leaks. Due to my limited time, I think that is the step that will be done in February. Maybe I will find a megane throttle body as well. Cams and final remap will be hopefully done by summer. That is the plan I have in mind, I want the car finished for the summer. Thanks for following my topic! 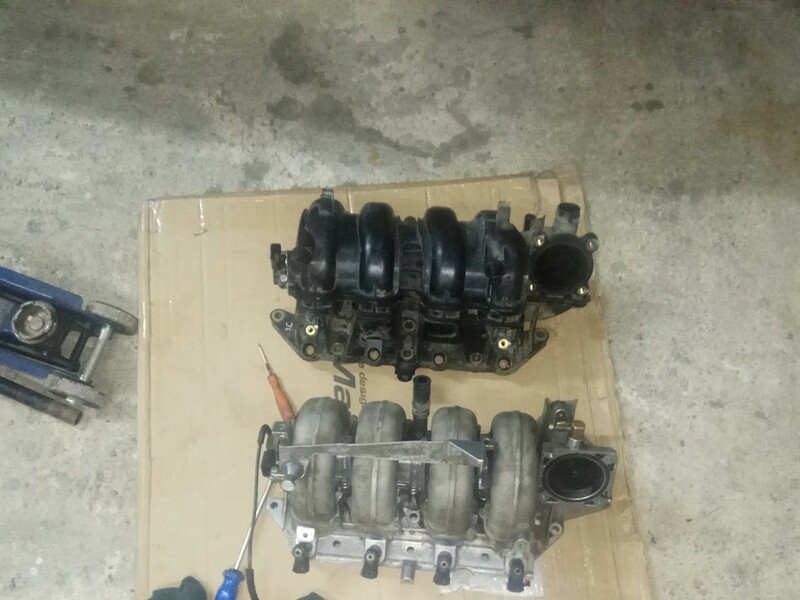 I will keep it updated with photos from the intake manifold installation process and whatever is to follow. I sent you a PM to ask for something. Looking to hear back from you! is it right, that you drive the 1,6 Engine Block (BCB) with the old original BBY motor control unit (ecu) ? Yes my engine consists of and 1.4 aub head and a 1.6 bcb block. The ecu is still the stock bby unit with the stock bby 75hp map. Ηello from me, from Greece!!! Thank you for accepting me! Leave it here to i help you and you help me!